We are inspired to bring our clients’ visions to reality by creating beautiful, thoughtful and innovative landscapes, hardscapes and decorative concrete projects. Not only do our projects add value to your home, they create the ideal spaces to make memories that will last a lifetime. Our passion for hardscaping and our clients shows in our work. We provide extensive training to all of our staff - this is not only for their benefit but for yours as well. 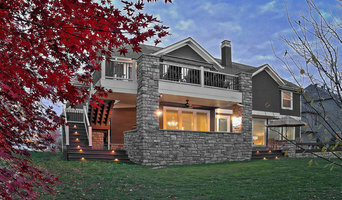 When you make an appointment to meet with one of Hinkle Hardscapes’s representatives, you will be meeting with an engaged, passionate professional who is up to date with the latest trends and techniques as well as time-honored styles and traditions. You’ll be speaking with someone who won't just copy your ideas onto a pad of paper, but offer suggestions, collaborations, comparisons and feedback. We have had the privilege of working with over 3,500 Kansas City homeowners since 2007. We are passionate about what we do and are looking for clients who feel the same. ALL UNDER ONE ROOF, INC. IS A: Full Service Remodeling & Construction company specializing in custom spaces on the interior & exterior of Residential homes. All Under One Roof is dedicated to meeting and exceeding the expectations of our clients. We offer the highest quality craftsmanship with 100 percent customer satisfaction. We provide superior interior and exterior renovations that add lasting beauty and value to your home. Our projects vary in size, style and scope – from kitchen or bath remodeling to complete home renovation, from quaint smaller homes to multi-million dollar estates. To each of these projects, we bring personalized consultations that go many steps beyond the usual time investment along with meticulous attention to detail. 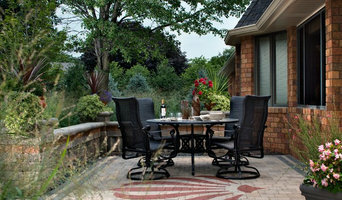 Landscape Architect and Designer Values: Berry Outdoor Living creates living areas that feel connected to the home. We try to create the space so it feels relaxed. It should feel like it's been in place with the home for years and not an "add-on". 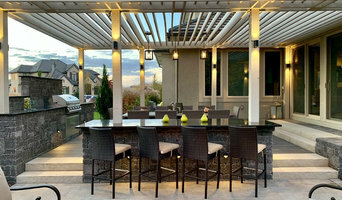 As a Landscape Architect, Landscape Designer or Landscape Contractor that merges old and new construction into the landscape design, the goal is to build a space people want to spend time, whether at the bar of the outdoor kitchen, fire pit, patio, or covered porch. When a space becomes a large part of the homeowners' daily life, that's when I know a project has been completed with excellence. I work closely with a Landscape Architect through the design process to ensure the space has the correct "feel". A quality landscape design must allow the space to flow from the inside of the home out. The patio and outdoor living space feels like an extension of the home, or another "room" of the home and feels wrapped with fresh, low-maintenance landscaping. In Kansas City patio, and landscaping design, there is a clear trend toward a cleaner, more defined look influenced by a more modern era viewpoint that values a non-cluttered look and feel. With respect to landscape design, in our circle of clients, we've seen a definite shift toward cleaner, artisan-crafted backyards and fewer "boxy", shrub-heavy yards. A Landscape Architect with a keen sense designs this effect. Green Expectations Landscaping Co., Inc.
Kansas City's Premier Design/Build Company for Over 28 Years! We build custom wood and composite decks in the greater Kansas City area, as well as full outdoor environments. Landscape design/build and Hardscape construction. Monumental Outdoor specializes in bringing dreams to life by creating landscapes, patios, fire features, and outdoor kitchens for homeowners in the Kansas City Metro area. We exist to beautify your property, so you have the time to focus on what matters most. We believe what makes us different is our commitment to excellence and integrity to serve our clients with the best experience in the KC metro area. We look forward to talking with you soon! LAND Design Group LLC specializes in design, consultation, and construction of unique outdoor spaces. Our focus is to provide you with a space that fits your individual needs, desires, and budget. We take the time to listen to your vision for the space. Working with you through out the design and construction of your unique space. Landscape company Kansas City .High end masonry/hardscape and one of a kind, Kansas city fountain and fountain design..Country Club Plaza fountain/ water feature design firm. Landscape water features by Kansas City Masonry /Architect and Design company, with fast masonry skills and water feature design and installation . 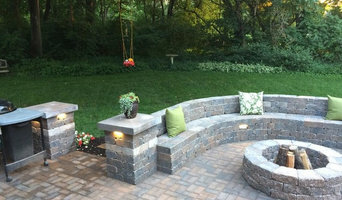 Landscape company Kansas City, Landscaping design masonry installation/masonry retaining walls, paver, brick patio COMPANY, Landscape waterfalls contractors , Landscape paver patio /landscape fountains and a Kansas City landscape design Company. LANDSCAPE design COMPANY, Kansas City Landscape is a Custom LANDSCAPE COMPANY we build Natural Swimming Pools ,LANDSCAPE WATERFALL CONTRACTOR in Kansas city..Kansas City Landscape designs and installs Landscaping, outdoor firepits,outdoor fireplaces, built in bbq grills, bbq grills, outdoor patios, low voltage lighting, driveways, retaining walls, landscape lighting, brick pavers, concrete pavers, outside fireplaces, outdoor water features, ponds, outdoor kitchens, outdoor lighting, retaining walls, water features, flagstone patios, patio pavers, pools and spas in Kansas City, Shawnee, Overland Park, Bonner Springs, Leawood, Olathe, Mission Hills, Lenexa, Prairie Village, Lee's Summit, Blue Springs, Liberty and North Kansas City.Our goal at Kansas City Landscape Contractor is to create a sense of bliss around your home, starting at the entrance to your front door and leading to your own special place in your backyard. We are here to complete the vision you have always dreamed of. 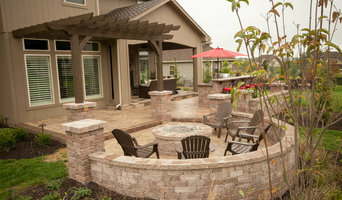 Here are just a few of the many services we provide: Pond/Fountain installation and maintenance Kansas City Landscaping and Masonry - Kansas City retaining walls,Kansas City patio/deck and fire pit/place installation,Paver Patio, Stone Decks and Patios Kansas City Masonry and Landscape Contractors is a historical restoration masonry company Historic masonry contractors,. Restoration and preservation of 18th, 19th, and early 20th century buildings. Specializing in architectural,masonry, fountain,brick, Landscape, Anthony also provides a broad base of knowledge on all aspects of fountain design and engineering including control design, PLC, and animation controller programming. Anthony also oversees bidding, job costing and purchasing programs for the firm. KANSAS CITY The Masons Co Located in the ''The Historic Cosby building (107 W. 9th St., KCMO)'' Hardscape, masonry repair and maintenance Kansas City, Brick repair, stone repair, Stone Foundation Repair Historic brick. Techniques in hardscape Kansas City Stone Foundation Repair & Preservation Brick Masonry Pointing Kansas City. Neighborhoods.proudly serves the greater Kansas City area with a variety of hardscape design, brick laying, stone masonry, stone flooring, patio installation patio repair, ...Kansas City area Historic Masonry preservation Company is a conversation with our past about our future. The Masons Co Historic Consultants . The Masons Co and Dionysian Artificers is located in Kansas City, Mo and serves the surrounding areas to include the entire Midwest region, serving for nearly 30 years.. We take time to provide the highest quality of workmanship in the region. We are a skilled masonry contractors, fountain restoration company, water features company, landscape company that big on results. As a pioneer and leader in Kansas City and Midwest, The Masons Co and Dionysian Artificers is committed to the protection and preservation of our country’s most cherished architectural, historic and cultural landmarks. We offer diverse expertise, strong technical knowledge, and expert consultation. We value our staff, crews and customers, and realize that people are the key to our success. The Masons Co and Dionysian Artificers has provided historic preservation consulting and contracting services on countless structures throughout entire Midwest region including several dozen on the National Register of Historic Places. We believe that a multi-disciplinary approach to the planning of all aspects of historic landscape and hardscape preservation projects is necessary to preserve the heritage of our built environment. As active participants in the preservation community we are appreciative of the limited resources available for the preservation and maintenance of the cultural heritage embodied in historic structures. We endeavor to provide historically appropriate, sensitive, creative, and responsible solutions to the stewards of these treasures. Our solutions are applicable to the repair of all structures including, Brick, Stone, Masonry Restoration, Landscape design, Fountain, Water features - buildings, high-rise structures, parking structures, airports, bridges, tanks, plaza decks, and historic structures. If you’re in need of some brick or stonework, hiring a qualified Kansas City masonry contractor will be your best bet. Masonry construction in Kansas City, MO can include anything from building walkways and structural walls to repairing old or broken stonework, using materials like brick, cement, concrete and stones. Some Kansas City, MO masons do all types of masonry work, while others specialize in certain structures or materials, so be sure to find the right masonry contractors in Kansas City, MO for your job.